Again, the world loses yet another sensational figure. This poetry collaboration is unusual, and we are happily inviting you to be our esteemed contributor. Powered by Hinovelty, this voluntary collaboration is aimed at honouring an outstanding woman who gave the world a reason to always remember her. Are you still guessing who she is? 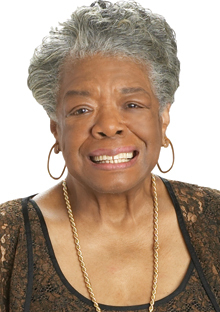 She is the phenomenal Maya Angelou (1928 – 2014). We are pioneering this poetry anthology titled ‘THE PHENOMENAL WOMAN POETRY COLLABORATION’, to be released in September 2014. We are gladly inviting you to be part of this epoch-making collaboration. What other way to be honoured if not by honouring others? You have got the rare gift to weave words; it’s time to prove yourself once again. All you just need to do is to pick your pen and write. One poem/essay in honour of Maya Angelou and your name will forever be listed alongside others wherever THE PHENOMENAL WOMAN POETRY COLLABORATION is mentioned. It’s simple. Forward your entry to maphenomwoman@gmail.com with THE PHENOMENAL WOMAN as subject. Your entry must include your name and bio (not more than 30 words). Deadline for submission is 19th July, 2014. NOTE: Proceeds from this poetry collaboration will be channeled to youth/women empowerment. Once again immortalize your name by being part of this great collaboration.